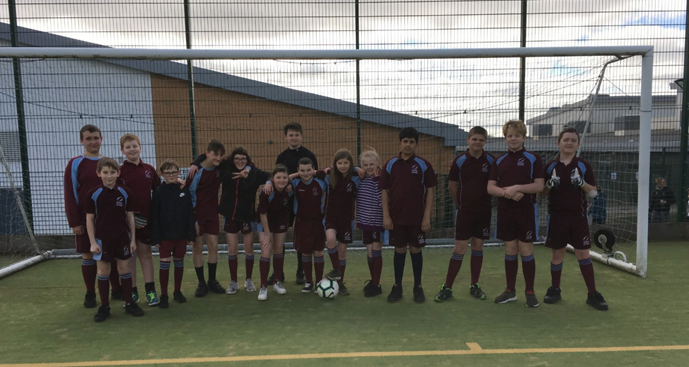 Unity College entered two teams into the Burnley Schools Mixed Team Football Competition at Sir John Thursby. One team obtained 2nd position and the other team came 3rd. The students worked extremely hard to earn some fantastic goals. Our goalkeepers Denton Greenwood and Thomas Hargreaves made some outstanding saves, well done lads! The remaining players worked together to show some amazing teamwork in attack and defence. Amber Small, Ellie Small, Joshua Perry, Freddy Worswick, Jack Cook, Chloe Fegan, Katelyn Brough, Liam Simpson, Zeeshan Khan, Ethan Jackson, Louis Suntherland, Alex Clemins and our very own Referee; Alfie Yates.